In this book, legendary marketing expert Philip Kotler and social marketing innovator Nancy Lee consider poverty from a radically different and powerfully new viewpoint: that of the marketer. Kotler and Lee assess each proposed path to poverty reduction, from traditional large-scale foreign aid to improved education and job training, economic development to microfinance. They offer powerful new insights into why so many anti-poverty programs fail - and propose a new paradigm that can achieve far better results. 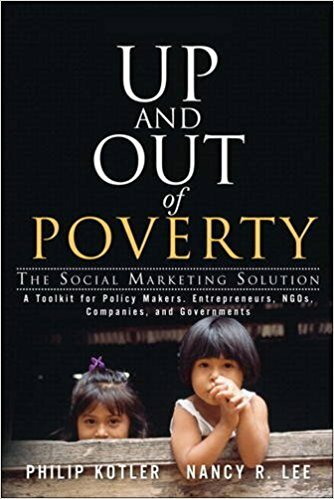 Kotler and Lee show how to apply advanced marketing strategies and techniques - including segmentation, targeting, and positioning - to systematically put in place the conditions poor people need to escape poverty. Through real case studies, you'll learn how these marketing techniques can help promote health, education, community building, personal motivation, and more. The authors provide the first complete, marketing-informed methodology for addressing specific poverty-related problems - and assessing the results. They also demonstrate how national and local anti-poverty programs can be improved by more effectively linking government, NGOs, and private companies. Over the past 30 years, the authors' social marketing techniques have been successfully applied to health care, environmental protection, family planning, and many other social challenges. Now, Kotler and Lee show how they can be applied to the largest social challenge of all: global poverty.